521 MCMANNEN (SOUTH MANGUM) ST.
521 South Mangum Street was not always on the northeast corner of East Proctor and South Mangum St., as it is in the above picture. 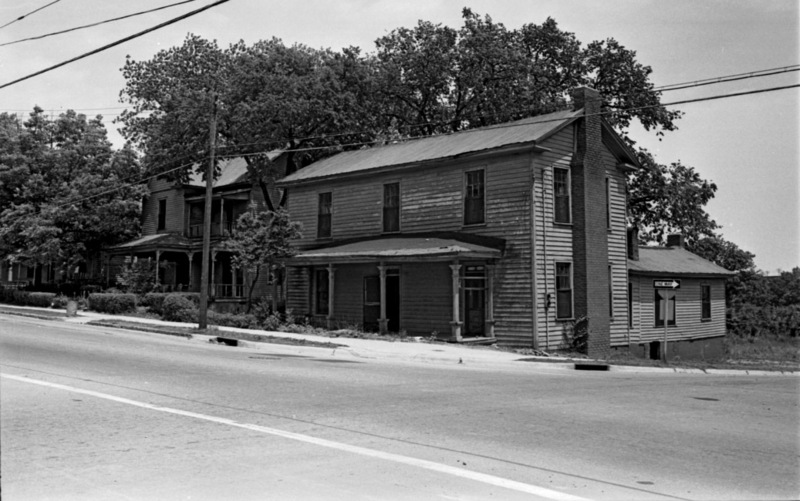 A mid-1950s widening project (seemingly to make Proctor St. more of a high-capacity thoroughfare through this neighborhood) demolished 525 South Mangum St., leaving 521 as the new corner house. All of these houses were torn down by the city using federal urban renewal funds in the late 1960s. Proctor Street evidently wasn't thorough enough of a fare, and the Durham Freeway was plowed through its approximate path in this area of downtown. Looking south from the courthouse, 07.15.68. The area to the west of Roxboro (right side) had been completely cleared, and the freeway is under construction in the background. Demolition of the east (left) side of the street had not begun. 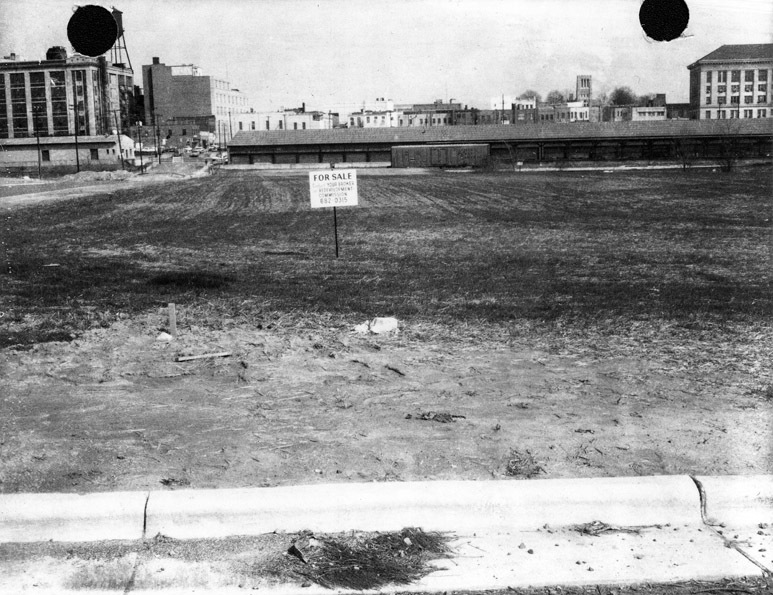 Looking north from present-day Jackie Robinson, ~1969-70. 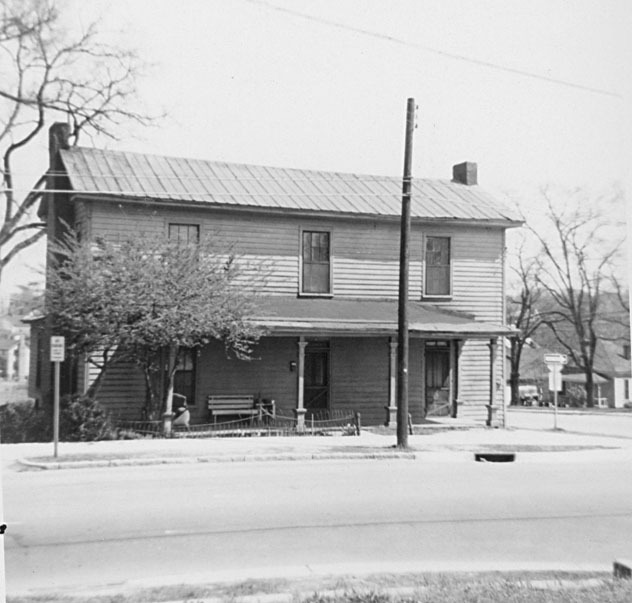 Elkins Chrysler-Plymouth moved south from their former location at North Roxboro and Parrish Streets in a land swap for their former location, which was also demolished by urban renewal. 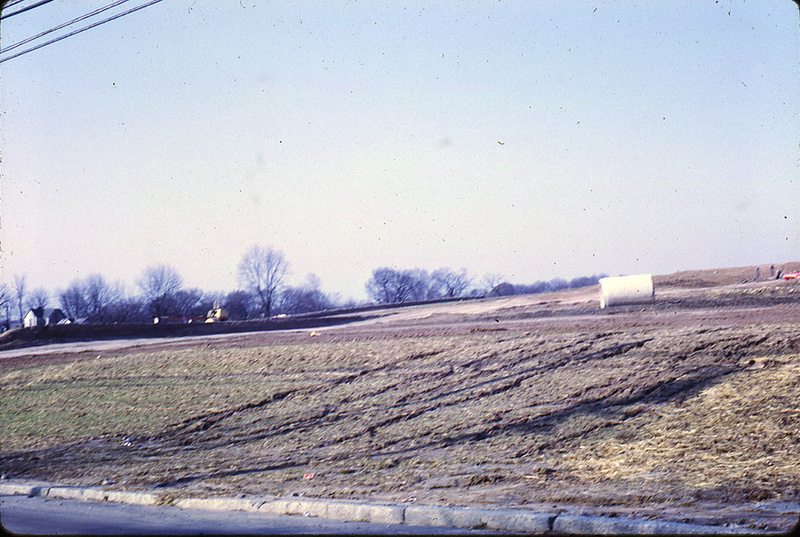 Elkins Chrysler under construction, looking east, 1968. Chrysler dealership, looking southeast, 2007. Chrysler dealership, looking northeast, 2007. Durham Freeway, looking southeast, 2007. Most recently, the dealership was purchased by the Johnson dealership company, who made no secret that they were interested in unloading the property. They placed it under contract within the past few weeks, to Scientific Properties, who have stated only that they are interested in developing a "mixed-use project." The Scientific Properties portfolio continues to grow: I've put together a quick-and-dirty overview map to show their projects, proposed and actual. Given the projects on their plate, one has to think that the Elkins Chrysler parcel is land banking more than project at the moment. As much as I love adaptive reuse, I'm happy that SP is proposing new, mixed-use development downtown. This is exactly where it should go - on the scorched earth of car-dealership land. I think we've got awhile to wait to sound my familiar streetscape refrain, so I'll just note that it's thrilling to think of some city re-occupying the urban renewal moonscape.